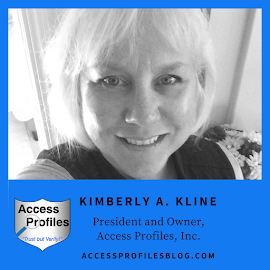 Access Profiles, Inc.: Background Check Breakdown Part 3: You Have Your Background Check Report, Now What? 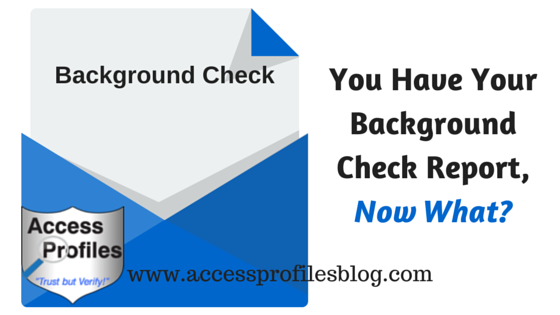 Background Check Breakdown Part 3: You Have Your Background Check Report, Now What? Part 3: "Tips to Help You Safely and Effectively Use the Background Check Report in Your Hiring Process"
You have determined what you need in a Background Check, decided what Background Check company you want to use, and you have the Background Check report in front of you – Now what do you do? EEOC guidelines and mandates governed by the Consumer Reporting Agency (CRA) and Fair Credit Reporting Act (FCRA) do dictate HOW you can use the information supplied in a background check report. Under CRA regulations, a Background Check cannot legally report cases that were dismissed, where the defendant was found not guilty, or arrest records where no conviction was listed. If your Background Check record does include any of this information, you would be wise to not consider it in your employment decision. So, now you know the Background Check report on your applicant is compliant and only contains allowable information. Follow these Steps if Your Applicant has a Criminal Record "Tweet This"! If you find that the report shows no criminal record, then great. You can move forward and formally hire your applicant. However, if a criminal record is found, it is more problematic and you should proceed with these guidelines in mind. How recent was/were the conviction(s)? A conviction record that occurred many years ago (with a clean record since) should not be considered an indication of current conduct or recurring behavior. 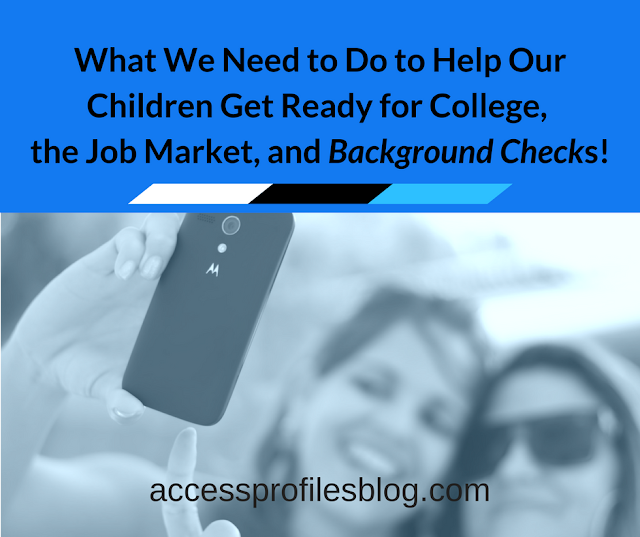 Most Background Check companies use a time frame of 5 – 10 years as a range of reference. How is this record relevant to your open position? In order to be compliant with EEOC guidelines, it is necessary to determine what type of criminal history would keep an applicant from performing their job duties in a manner that is safe and would not cause damage to your business. For example, past convictions for embezzlement or fraud would be of great concern when hiring a bookkeeper or accountant. Second, you need to decide if the information found will impact your hiring decision. If not, then you can move forward. It is most important that you document this entire process! You need to keep detailed notes as to what decisions you made concerning the hiring or promotion of the applicant and when you made them. Good records will help protect your company in the event of litigation. The use of Background Checks in your hiring process is invaluable. In its most basic terms, it will provide you with the tools to weed out the “bad hires” while keeping the good ones. Good Luck! Please "Pay it Forward" and Share this Article! Thanks! API can help You Hire the Best Candidates for Your Small Business! and tips on Small Business.